Κυριακή πρωί κατεβαίνω στον Ι.Ο.Π., όλοι και όλα, στον κανονικό τους ρυθμό γονείς να σιχτιρίζουν την ώρα που αποφάσισαν να στείλουν τα καμάρια τους ιστιοπλοΐα και αναγκάζονται κυριακάτικα να κατεβαίνουν στο Τουρκολίμανο, παιδιά να σιχτιρίζουν τους γονείς τους που τους στέλνουν ιστιοπλοΐα και ξυπνάνε Κυριακάτικα νωρίς..., όλα λοιπόν στον κανονικό τους ρυθμό. Παραγγέλνω καφέ κάθομαι να τον απολαύσω πριν βγω θάλασσα και ο Γιάννης μου λέει ότι σε λίγο θα κατεβεί ο Δρούγκας με τον Dave MacKay, και πετάει και την ιδέα γιατί δεν του παίρνεις μια συνέντευξη για το site. Έλα ντε μια χαρά ευκαιρία ήταν, μιλάω με τον Δρούγκα τον ρωτάει αν ενδιαφέρεται και άμεσα κανονίζουμε να γίνει. Ναι, αλλά εγώ έχω κανονίσει να τρέξω στον αγώνα του ΝΟΕ... δε πειράζει άλλωστε φυσάει πολύ δεν θα αργήσουμε... πάω στον αγώνα και σας προλαβαίνω μετά ΟΚ; ΟΚ. Ευτυχώς ο αγώνας αποδείχτηκε όντως πολύ γρήγορος, Φάληρο – Φλέβα – Φάληρο μόλις σε 2 ώρες και 56 λεπτά για 23 μίλια αγώνα δεν είναι και άσχημα, και τους πρόλαβα στο γλυκό και τον καφέ. Ξεκινήσαμε την κουβέντα με πολύ άνεση μιας και ο Dave ήταν πολύ φιλικός και άνετος με όρεξη (όπως θα δείτε από το μέγεθος των απαντήσεων του) να μιλήσει και να μας λύσει κάθε απορία. Στην συζήτηση συμμετείχε ο Dave MacKay (www.mackayboats.com), ο Γιώργος Δρούγκας (www.magicmarine.gr) και ο Πάνος Δούρος (www.istioselida.com) και κινήθηκε με βάση τη θεματολογία του Συνεδρίου της ISAF που είναι και το θέμα των ημερών. Istioselida: Welcome Dave. How do you think of Greece? Did you like it? Dave: I loved Greece. Unfortunately, I was literally locked for the whole previous week in a hotel, but I loved it today that I had the chance to come out here it’s really nice. Istioselida: OK let's start... First, I want to ask you about the changes that the Events Committee proposed for the 2016 Olympics. How do you see these proposals? Dave: Well, I think if we go back to the very beginning ISAF appointed an Olympic committee to evaluate and study and to present ideas of the future of Olympic sailing in order to go forward. A group of 5 or 6 people from ISAF worked on this, an Australian guy, an English guy, and others and they came up with a really good report that everyone supported. It’s a good thing for the future of sailing and how to keep stability in sailing going to the future. They looked at things like popularity, how to make the sport more popular, and how to present the sport to TV and media and create a higher profile, but they also looked and very carefully studied the importance of global spread of sailing. These were the two most important things in their report. For sailing to be in the Olympics it has to have a very good global representation, not to be just a European sport, and also in order to survive in the Olympics it has to attract public interest so that is important sailing to be represented in TV as well as in the race course. So that report was excellent. The problem with this conference was that there was no opportunity for everyone to really debate and discusses what the best solution should be, there wasn’t much chance for even voting. Dave: Yes, there was no real consultation… to all the sailors of the world on how they really felt about mixed sailing. Maybe 10 sailors were asked, not thousands of sailors were asked about it. So that was one of the wrong things. Another one of the problems was how these decisions affect the spread of the sport around the world. The importance of which classes really reach to all the different nations, some classes are really good for publicity like 49er, catamarans, we need to have those classes for the media and for popularity of the sport, but we also need to have other classes that reach everyone to the world of sailing and have wide weight range. There is the need to be a boat for lightweight guys, for heavyweight guys, it needs to be boats for lightweight women, for heavyweight women there is a need to be a spread. And those boats needs to be available to all the countries of the world, so it’s really critical that those objectives that were discussed to the Olympic commission report are actually tried to be achieved. Unfortunately, in this conference the objectives of the Olympic commission report were lost, due to politics. 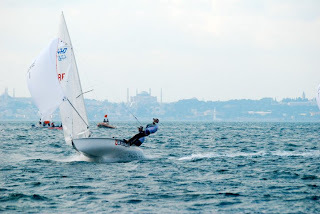 Istioselida: So actually you are saying that ISAF conference mainly focused on the problem of the popularity of the sport, leaving outside the problem of how to make “real” sailing possible. They focused on how to make sailing attractive to all audiences and overlooked the problem how to make sailing more universal in body types and between the sexes. Dave: Yes, the universality was put in second place. In my opinion individual classes do not have to be in all events for example I think that the Olympics would be fine if we put all television cameras on the most popular boats, to focus on what’s best to get the media attention and let the traditional form of sailing continue. Both can happen side by side. Istioselida: Let’s be more specific for the mixed crews. Do you think that is a good development? Dave: Personally, I think it’s a step backwards. I really like the idea of mixed sailing, but I know that it will not work practically. The problem is that even though we live in a modern society that everything is permissive, we believe as adults that a man and a woman can be together, but the reality is that we have slightly different mentality, greatly different capabilities and as much as we think that we have progressed with sexist issues, still is going to be an issue. Not necessarily between the people on the boat, they could be professional, but for example these two people on the boat they are working very closely together, they have to communicate in a very special way, so their husband and his wife, maybe, they will have a problem, jealousy, there is going to be issues that could break up a crew that has been training for years and becoming very good. These are real things we are not sexist when we talk about it and for a team to be successful has to be entirely focused on their purpose. I think ISAF here makes an experiment, it’s a dubious experiment. Istioselida: About the multihulls, do you think it’s a positive development for Olympic sailing? Dave: Yes, I think multihulls are fantastic that are back to the Olympics, because there is a lot of multihull sailing in the world. They are fast and exciting to watch. Istioselida: Star Class is out. What do you think about this? Dave: I don’t know too much about the Star Class really, I just haven’t followed it. Istioselida: You are one of the biggest 49er builders in the world. Lately the 49er class and the extreme sailing series announced their cooperation for the next season. How do you see this kind of development? Dave: Yes, I don’t really know a lot about it, actually I’ve heard here in Athens at the conference. It’s still very fresh, but I think yes why not. Everything that increases the profile of sailing it has to be good. Istioselida: Dave, apart from the 49ers what else your company do? What else are you building? Dave: Mainly, we are building 49ers and 470s, and if the women’s skiff is the 29er we hope that we will be building that too. Istioselida: So the women’s skiff will be the 29er? Dave: Not necessarily, but we are hoping to be this one (laughs). And we are also building 420, which is a boat that we’ve just started to build. The 420 is a really important boat for the sailing in the world, because it’s quite easy to sail. They are very important to the spread of sailing, kids out of the optis can sail them right away without being frightened. Maybe it will take them 2-3 years until they start to win races but at least form the very beginning they can sail them. And it’s a very important class for developing countries in order to create top level sailors. We think that they are very important boats and there is a very big market for us worldwide, so we’ve started to build them! Istioselida: Well Dave, do you have anything to add or to say in general? Dave: Well I’ve just been talking to George (Drougas) on what would be really nice is to hear from the sailors. I think that it’s really wrong we as adults to decide what boats the kids will be sailing or to say in general all kids like fast boats or traditional ones. Kids have different mentalities and we should leave them to decide what they want by themselves. Maybe you can ask these kids here in Greece these questions and get a true cross-section of what they want. George: The problem is that we decide their future based on our beliefs. We have to ask them what they want for their future. We are thinking for them without having their experiences. We should have asking the sailors what they want for their future. Dave: From my experience in New Zealand there are many kids that are not adrenaline driven and they like boats like 420’s we should not exclude them from the Olympics. And it doesn’t mean that because they are adrenaline boats they should be in the Olympics. George: I think that ISAF should very seriously consider that when they put a boat into the Olympics to keep it for at least 8? 12 years? Because athletes need to invest money and time to their Olympic campaign. For example remember the “Europe class” for small countries like Greece, it was disastrous. Istioselida: George is right. You cannot have an organized plan if you do not know what it will happen the following years and an Olympic campaign requires a very long preparation. Unfortunately, small countries usually suffer from all these decisions, I think that if the decision for mixed crews passes it will also be a huge problem. George: Mixed crews will be a problem for both big and small countries. However the biggest problem is the change of the classes every 4 years. The athletes buy the boats they invest a lot of money and effort and then they left out. ISAF must decide that at least for a period of time the class is going to stay in and let’s say in 8 years we evaluate it again. 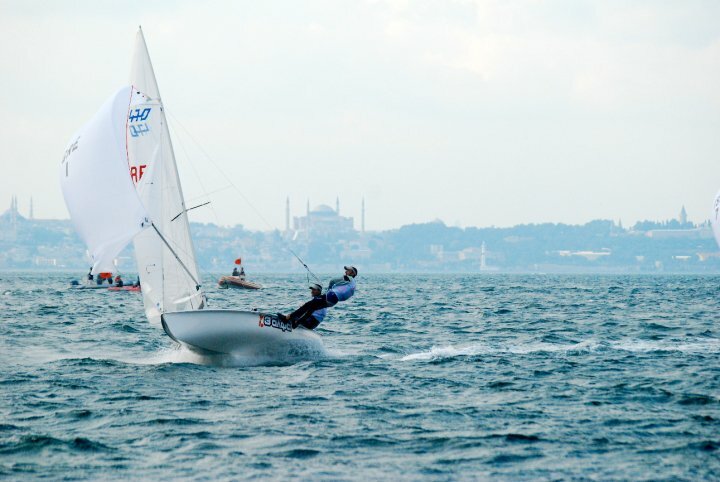 Dave: ISAF also needs to be more careful about the boats they choose. At the Olympics all range of people should be represented, not only lightweight persons. With the latest proposals only Finns are suitable for “normal” body-types. Istioselida: Plus in nowadays that you have a global economical crisis the boat selection should take into consideration all these factors. Choose classes that already have existing fleets and classes that have low costs in boats, equipment, logistics, etc. Dave: The think is that ISAF needs to talk to the athletes before reaching to final decisions. The channels exist and it’s very easy nowadays to talk to thousands of athletes and collect their opinions. It maybe needs to use people like you with powerful channels (websites) in order to reach to all the sailors. ISAF are administrators maybe they need to leave the contact to the people to others. And to be fair to the ISAF, and to close this discussion, I think that their proposals are provisional. They did that in order to stimulate all this discussion and collect the feedback from the classes, the sailors, the media etc. Istioselida: Dave thank you very much it was very interesting talking to you. George thank you too for making this conversation possible. Dave: My pleasure. It was nice being here in Greece and to talk to you. I really enjoyed it. Ο Dave δουλεύει κυρίως στο κομμάτι των πωλήσεων στο ναυπηγείο και είναι το πιο πιθανό το άτομο με το οποίο θα ασχοληθεί μαζί σας στην MacKay Boats. Έχει αγωνιστεί κυρίως με 470, με Flying Dutchman και λιγότερο με 49ers. Οι πιο σημαντικές στιγμές στην καριέρα του ήταν η 3η θέση στο Παγκόσμιο 470 και η συμμετοχή του στους Ολυμπιακούς Αγώνες του 1984 με FD. O Dave ταξιδεύει και παρακολουθεί όλους τους σημαντικούς αγώνες των 470 παγκοσμίως και συμμετέχει ενεργά στις εξελίξεις στην κλάση. 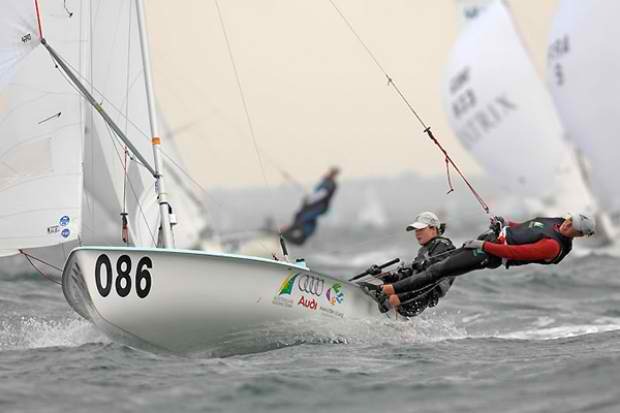 Builders of high performance sailing dinghies, specializing in Olympic 470 and 49er classes. MacKay Boats have a long and successful reputation for building world-class high performance dinghies. During the 60s,70s and 80s we built the Flying Dutchman class and our boats were used by New Zealand crews at the Olympics from 1964 through to 1992. In the 90s we began building 470s and 49ers. 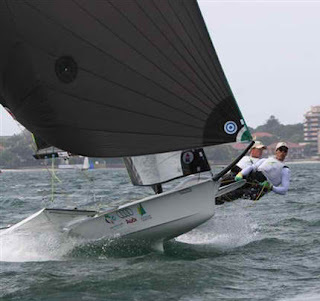 Our boats have won the 470 World Championships 11 times and the 49er World Championship 5 times and in Olympic competition Mackay boats have won 15 medals.